It’s only flat on the bottom. Correct? Exactly. Just turn the wheel over and you’ll be fine. I tried that, but the flat spot keeps falling to the bottom. It's like it's synched or something. Very strange! Have fun boys, next time. Just made it home safe and sound! Thank you for another great ride! We got home, as well. A great journey with good food and fun stories. Excited for these pics! Wish I could have made it today. 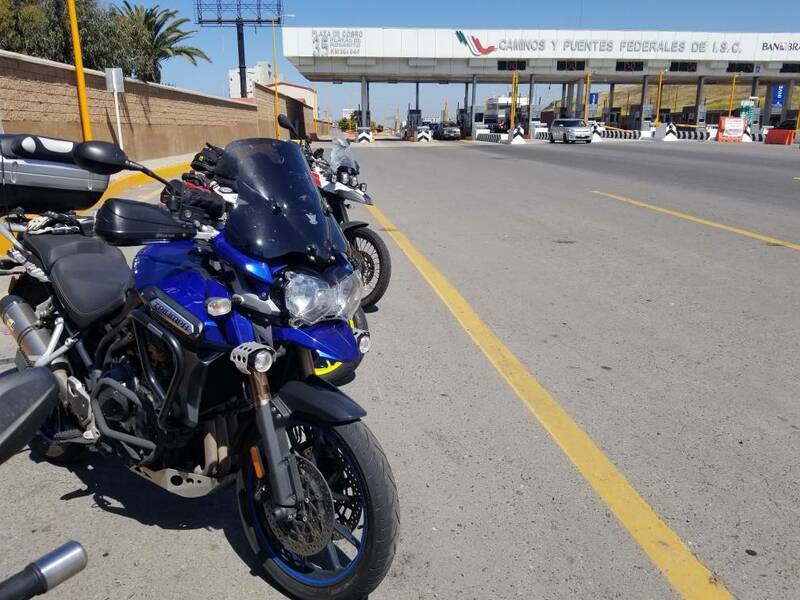 Long overdue for Mexico ride  Glad y'all had fun! Here's a few pics from my camera. 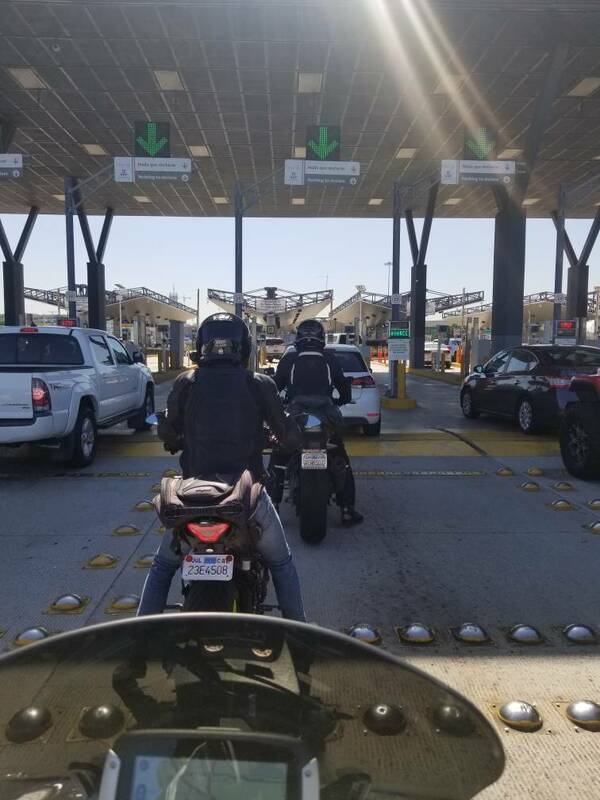 Waiting for the Southbound invading horde at the toll booth - my mighty Speed Triple at Rosarito Beach. Our first stop was Valley Girl Winery. Good times had by all as we did pre-lunch wine tasting there. Our second stop was at the outdoor patio of Valle 13 in the village of Francisco Zarco. 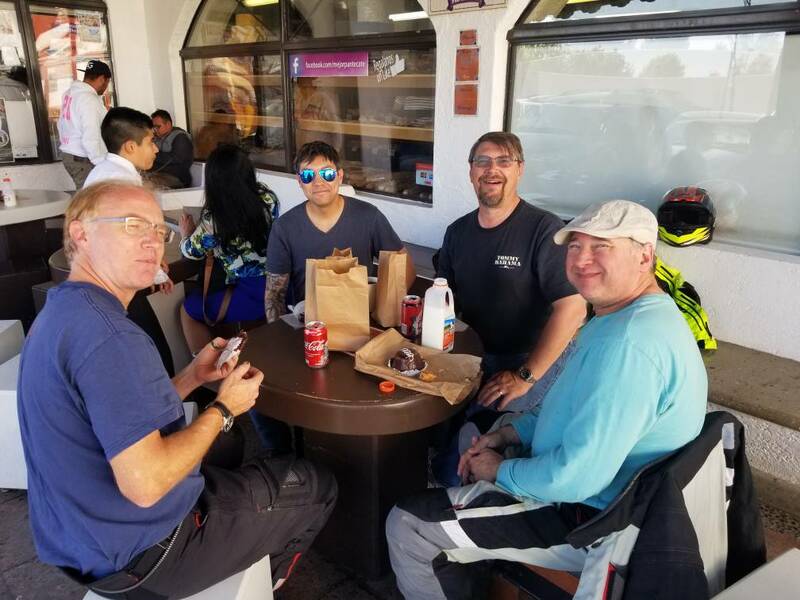 Most of us had the lobster burritos and they were incredible! Last edited by Mr. Blue; 04-15-2019 at 10:37 AM.